This blog is titled Open Embrace Meditations, and in the first post I explained why, but that was over 50 posts ago (!) so I’ll repeat it here and add a little Eightfold Path twist. For many years now my intention in life has been to hold the world in and open embrace. The visual image I have of such an embrace is of cupping of my palms the way you do to receive water, or the way you do to hold something you want to look at more closely, or the way you might offer others to share in your joy of something. It is the antidote for clinging or grasping or pushing away. So now here is this structure the Buddha provides: The Eightfold Path, the last of the Four Noble Truths. 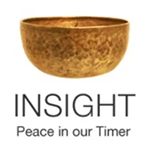 Because I have been a meditator for much longer than I’ve been studying Buddhism, I come to these teachings pre-sold to the tenets through my own meditation experience and insights. I recognize in them the pure universal truth that each of us has access to when we quiet down and listen in, that I talk about in my book Tapping the Wisdom Within, A Guide to Joyous Living. How wonderful for me to come upon a set of teachings that so beautifully expresses these truths, and provides a structure for exploring them even more fully. To be honest, it amazes me that these wonderful teachings of the Buddha have survived in tact for 2500 years, in a world where everything gets misunderstood so quickly. You know how if you whisper in someone’s ear in the circle and they pass it on, by the end it comes out totally different? In so many cases in the world, you have to add in the people along the way who purposely change the meaning not just out of misunderstanding but out of a desire for worldly power. But the Buddhist teachings seems to deflect power over others by continually bringing ourselves back to our own personal access to universal wisdom. The Buddha is oft quoted as saying if you meet the Buddha in the road, kill him. Not very Buddhist! Not exactly Right Action! But the meaning is clear. This is a personal spiritual path based on experiential insights. Every teaching leads us right back to the meditation cushion to sit with our own experience. There are cultural variations as the teachings travel from country to country, and we in the West are shifting the focus to meet our needs. But these cultural differences don’t change the core of the dharma. So here I am with my intention of an Open Embrace, and how does that translate in the Bodhidharma? Take a look at the Buddhist bell bowl at the top of this blog. When you think about it, it is holding the world in an open embrace. And I can’t help but think that this way of seeing could be called Right View: Open, receptive, non-clinging, supportive, lovingly engaged. When you take in its capacity to emit sound waves that resonate in the core of our being, it reminds us of the oneness of all that is. Right View, right? So if this bowl Right View, then where do the other aspects of the Eightfold Path fit in? Well, if this bowl made of metal, it could also be seen as a pot. I imagine underneath the pot, warming it, is Right Mindfulness. Then I see that Right Intention is the spark that sets the flame that is Right Mindfulness. Right Effort and Right Concentration are the logs under the pot that fuel the flame of Right Mindfulness. The flame of Right Mindfulness warms the pot to the point that steam rises. The three intertwining threads of steam go out to interact in the world as Right Speech, Right Action and Right Livelihood. What’s in the pot? Our finite life evaporating. And when the pot is empty it returns to being a bell bowl and the logs become ringers, ringing in a joyful reunion of ourselves with our true nature, at one with all that is. One might say it would be better to not light the fire at all so life wouldn’t evaporate. But lets assume that if this life wasn’t in a bell bowl turned cooking pot over a nice campfire, it could very well be stuck inside a pressure cooker, letting off steam in all sorts of dangerous ways. We know that our lives are finite, no matter how we live them. Using this new cooking pot analogy we can also explore unskillfulness. Those logs are Right Effort and Right Concentration only when they fuel Right Mindfulness under the pot of Right View. Taken from that position, these logs of effort and concentration can be used to beat ourselves or others up, over-efforting or using concentration practice to serve our greed for pleasure, possessions or power. Or perhaps we set the logs in our path as hindrances and let them stop us from exerting any effort or concentration. That spark is only Right Intention when it lights the flame of Right Mindfulness. Otherwise it could be unskillfully turned into the intention to do any manner of destructive things. ‘Where are we setting our intention?’ we often ask ourselves. Are we skillfully lighting the flame of Right Mindfulness or are we mindless arsonists creating havoc and destruction wherever we go? The lovely pot or Buddhist bell bowl is only Right View when it sits solidly upright resting on the logs of Right Effort and Right Concentration, warmed by the flame of Right Mindfulness. In other positions it becomes a different view of life: It can be turned over and hidden under, so we see only darkness. It can be turned on end like a gapping maw, an aching hunger needing to be filled. It can be turned around and used as a shield to keep the world at bay. It can be used as a shovel to dig up and dump on others. The steam rising in Right Action, Right Speech and Right Livelihood could be used to obscure behavior, meaning or means. Are we talking a lot of ‘hot air’? So there are many ways to play with this. Like any analogy, you can only take it so far, but as I have just come up with it, I am still exploring it and am happy to hear any thoughts you have about its effectiveness or pitfalls. But I hope it helps somewhat to understand the role of the various aspects of the Eightfold Path, which can be confusing. I also want to make sure that in my dharma talks I distinguish between the teachings themselves and my freewheeling interpretations. This is a tradition that is open to creative insight and interpretation. But it is also a tradition that, as I said earlier, has lasted over 2500 years intact, as far as I can see. I don’t want to be a person in the circle who is misunderstanding what is whispered to me and passing on misinformation. So please take what is resonant to you. Be inspired to explore the Buddhist teachings further: Read some of the great books that have been written and are readily available. We are so fortunate to have a bounty of Western and Eastern teachers writing in English, bringing the Buddha’s teachings to us. Each has his or her own take on things, so spend a little time finding the authors who most speak to you, who address your concerns and questions. The Second is that it is our tendency to grasp and cling that causes this suffering. The Third is that the end of suffering is possible. We are to remember that despite the use of the word Right on these eight aspects, this is not a list of commandments. Instead these are helpful guideposts (going back to my original analogy I have been using throughout these past many posts – I’m just full of them! ), guideposts that shed light on our path as we make our way in life. When we find ourselves suffering in darkness, we can look to the guideposts of the Eightfold Path to shed light on the cause of our suffering. Perhaps we have caused harm through our speech, action or livelihood, and we are feeling badly about it, without even being aware of it. By taking time to focus our attention on our experience, we can recognize our emotions, remember our actions or words, and now we can hopefully make amends and definitely bring more awareness to future interactions. Perhaps we want to meditate but never find the time. We can look to Right Intention to bring ourselves to sitting practice, and to help us practice Right Concentration with Right Effort to develop Right Mindfulness. Perhaps we find ourselves always looking at life as evil or useless or some other view that brings us a sense of despair or hopelessness. We can recognize that we need to expand our vantage point, to become aware of the possibility of Right or Wise View, to open our compassionate hearts to ourselves and others, to hold the world in an open embrace instead of pushing away the possibility of happiness. This entry was posted in analogy, cooking pot analogy, Four Noble Truths, http://schemas.google.com/blogger/2008/kind#post, open embrace, summary on April 29, 2009 by Stephanie Noble.